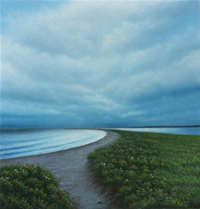 Anthony J. Petchkis is a Boston based landscape artist who has been exhibiting continuously for the past 30 years. 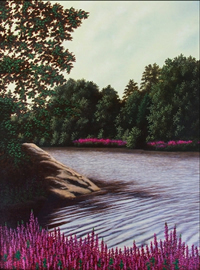 Anthony’s art has focused on the New England and Adirondack Regions. In particular, the north shore of Massachusetts, Cape Cod, and Martha’s Vineyard, and the High Peaks region of the Adirondacks, NY. Although Anthony continues to be inspired by the great American masters of the Hudson River School, his individual vision is unique in his choice and application of medium. Mastering pastel on rag board or paper, which is painted not drawn to create a homogeneous finish. This can be perceived as almost photographic. Another favorite medium is oil on canvas, but he will only produce two to three a year. Anthony is self-publishing and now has available limited edition fine art giclee’ prints. This new and exciting medium most closely emulates the original pastel far better than past methods of fine art printing. To keep this exclusive and unique, Anthony has chosen to keep his editions to seventy-five.